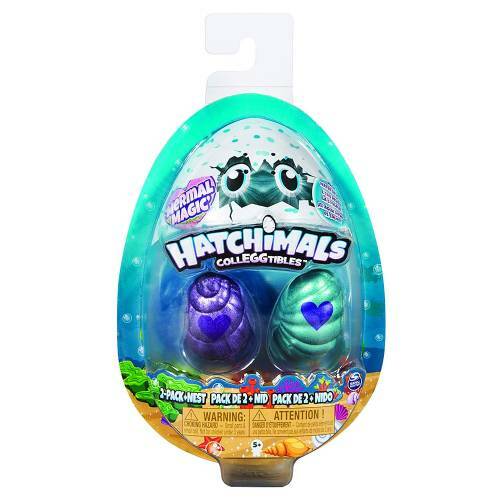 Hatch seashell-shaped eggs and collect NEW colour-changing characters with the Hatchimals CollEGGtibles 2-Pack + Nest! Inside this pack, you could find magical Mermals! 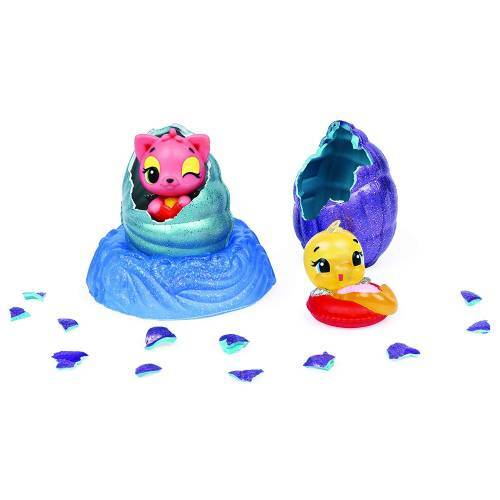 Half-hatchimal, half-mermaid, these adorable new characters change colour when you dive them into water — and they even have their own teal-coloured egg! To start hatching, hold each shell-shaped egg in the palm of your hand and warm it up until the purple heart turns pink. Gently press down to crack the shell and meet your new Hatchimal! Once you’ve hatched an adorable friend, there’s another surprise to discover! Dip your Hatchimal in warm water to see them change colour! When you’re Hatchimals aren’t splishing and splashing in water, place them in the underwater nest, perfect for playing and displaying! With over 80 characters to discover, you can hatch a whole underwater world! 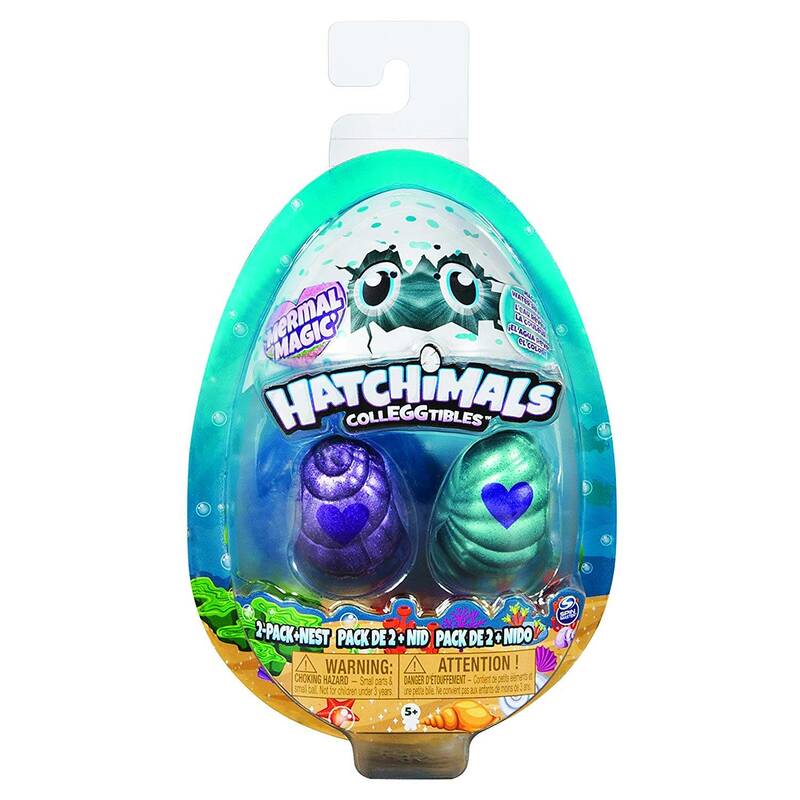 Dive into fun with the Hatchimals CollEGGtibles 2-Pack + Nest!